Hello, friend! So lovely to have you joining us for this edition of our weekly Five Minute Friday link-up. If you’re new to the link-up, you can learn more about how it works right over here. This week is a bit unique, becuase we’re in the first week of our annual writing challenge, 31 Days of Five Minute Free Writes. This is Day 5 in my personal series, 31 Days to Telling Your Story. 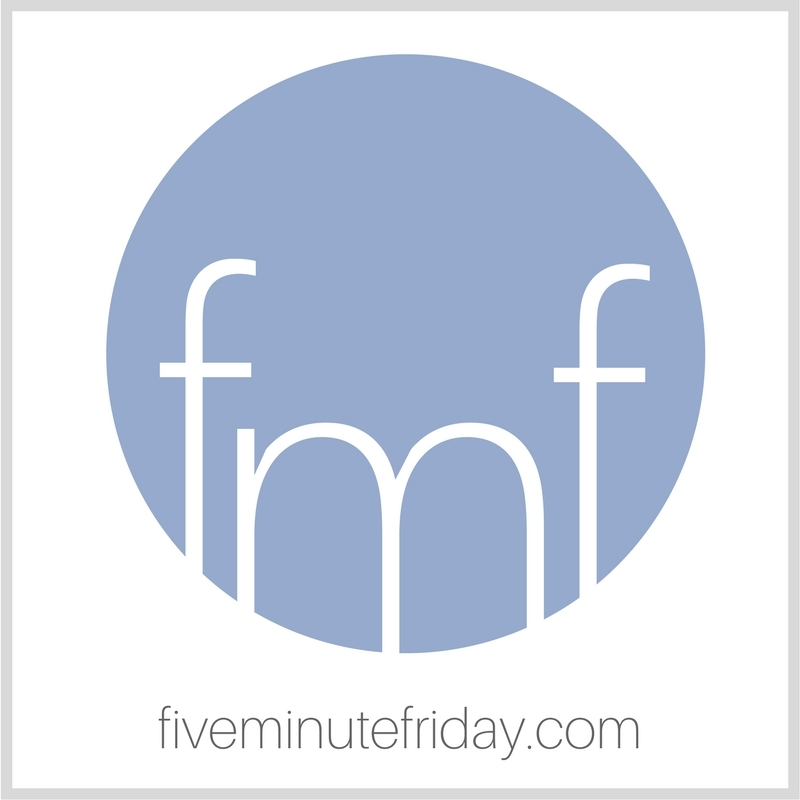 Join the @5minutefriday community as we write on the prompt, SHARE. Before I launch into my own five minute free write, I have something exciting to SHARE with you! The cover for my latest book is here! This one is co-authored with the talented Shannon Popkin, and we’re so excited to share it with you soon. SIGN UP HERE to get the latest news and updates about the book! And now . . . let’s write! Setting my timer for five minutes, and . . . Yesterday we briefly discussed why we should share our stories as Christians, and I promised that over the course of the next five days, I would elaborate further by giving five different reasons why I believe telling your story is important, especially if you’re a follower of Christ. But how can we rejoice or mourn with others if we don’t know what to rejoice or mourn about? One of the common responses I get from people who read my book is, “I wish I had known then what was going on so I could have done something to help.” They’re often referring to the years when my mom was sick with cancer in Michigan and I was living in South Africa. At the time, whenever people asked me how I was coping, I usually just pasted on my fake smile and said, “Fine.” Even though that wasn’t true. When people eventually read my true emotions years later in my memoir, many expressed that they wished I had been more honest and open about how I was feeling. People care. They want to help. We just need to be humble and vulnerable enough to let them. Often the thing that keeps us from sharing and opening up is pride, isn’t it? We don’t want people to see that side of us. We don’t want to expose our weakness. The Bible tells us that God’s power is made perfect in weakness. When we don’t open up enough with others to let them in on what God is doing in our lives, we deprive them of an opportunity to carry out the command of Romans 12:15. I might even go so far as to say that we deprive them of the opportunity to glorify God through that specific situation. Is it possible that we’re stealing glory from the Lord when we let pride keep us from exposing our weaknesses? Visit the Table of Contents page here. Join the link-up with your own five minute free write by clicking the blue “Add your link” button below. This is so true. Showing our weaknesses is often seen as a sign of weakness, but this can be our greatest strength. I am enjoying the 5 minute free writes. Janis, I read your post and am unable to comment for some reason. I just wanted to let you know that I really enjoyed your take on the prompt. It is very good to share with others and so often we get caught up in ourselves and forget to do what God asks of us. Great post! Amen. God’s power is made perfect in our weakness. I have learned over the years when I share and am vulnerable about my own weaknesses, others are liberated to do the same. Thank you for sharing, this is very beautiful and encouraging. “Is it possible that we’re stealing glory from the Lord when we let pride keep us from exposing our weaknesses? ” I have asked that same question. A few years ago, friends were attempting to pay for all four tires to be replaced on our car and my husband and I were trying to resist the offer. Finally, we were convicted that we were preventing the Holy Spirit from working through the giftedness of others. “Is it possible that we’re stealing glory from the Lord when we let pride keep us from exposing our weaknesses?” I’ve asked that same question. A few years ago, friends were attempting to replace all four tires on our car. We resisted because it’s hard to receive. Eventually, we felt convicted that we were preventing the Holy Spirit from working through others’ giftedness. Share. My mother got cancer in 1988. She had colon cancer.she was really sick. They started to do surgery on her but she started bleeding on the operation table so they had to stop.They couldn’t get the tumor out. It was enlarged. They sent her home and I took care of her everyday. And really spent a lot of time with my mother.She live for about three months. I really appreciate and that God for letting me share the three months I had with my mother before she passed away. It was really hard on me,her husband,her son,and her other daughter when she passed away. But we got through it with God’s help. I think about her everyday and miss her.But I am glad she is not suffering anymore. I thank God for that. WOW! Thank you for finally sharing about the need to share our vulnerabilities and what happens when we don’t. We have not because we ask not. Humility is certainly needed for all of us to grow in this. Hugs to you, Kate!